Invoices view allows user to view and manage projects’ invoices for service rendered. Issuing of the invoices itself is to be done from “Projects” application. 2. User can sort to view the list invoices with retention invoice (due) date, by clicking on the “Retention Invoice Date” column. 3. Select “Yet to Claim Retention” status in the “Status” drop-down list. it will filter the list view to show only invoices where Retention Claim Invoices have not been created. 2. Select “Yet to Claim Retention” status in the “Status” drop-down list. 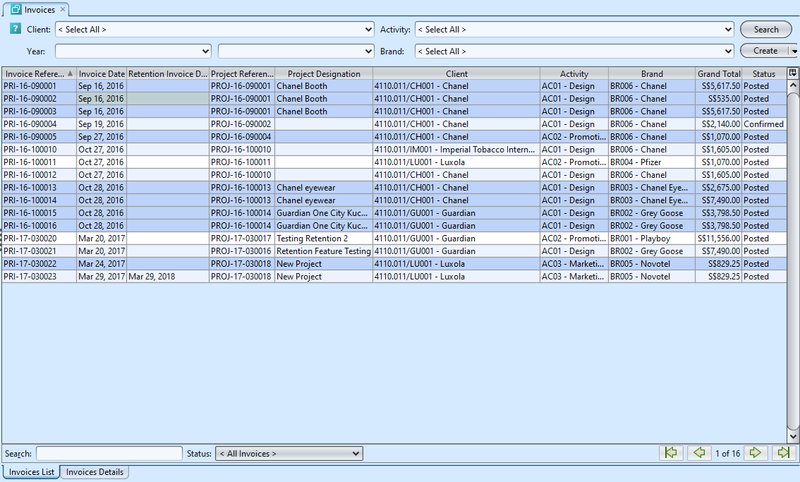 it will filter the list view to show only invoices where Retention Claim Invoices have not been created. 3. Select an invoice and double-click to open the document. 4. 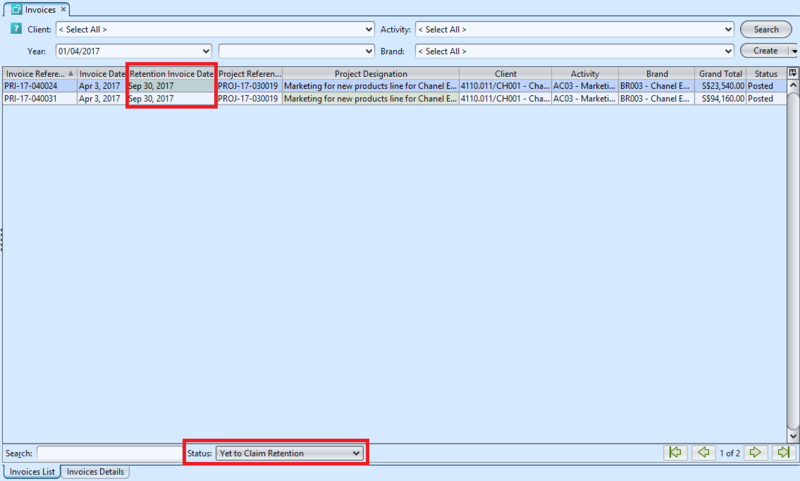 If there is retention for the service, user can create Retention Invoice for the Retention Amount by clicking on the “Create Retention Invoice(s)” link at the bottom of screen of the invoice. Click “Yes” to proceed. 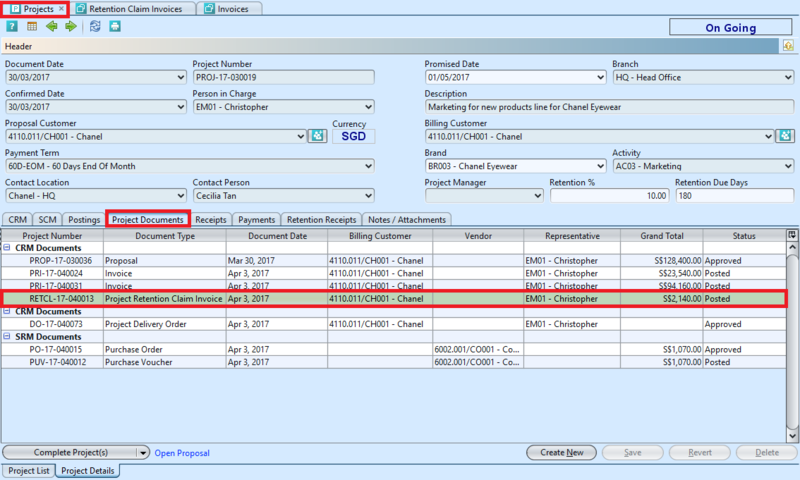 This will create and open a new “Retention Claim Invoice” document, amount = “Retention Amount” as indicated on the (source) invoice. This is based on the agreed retention % of the project of the invoice.